The World Health Organization and the National Institutes of Health are both agencies that promote health and health related research. Both of these agencies have funded biomedical research, but the WHO is also involved in a range of other activities, while the NIH focuses on research. The reach of these agencies also differs, with the WHO working internationally, while the NIH is focused on the United States. The World Health Organization is a United Nations agency. 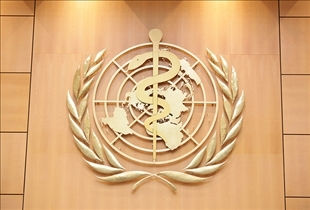 Its headquarters are located in Geneva, which is in Switzerland, but the WHO also has six Regional Offices, which operate with considerable autonomy. The World Health Organization was created in 1948, when it took over from the Health Organization, which was a similar agency that was part of the League of Nations. The National Institutes of Health are an agency of the US Department of Health. The NIH is made up of 27 institutes. Each institute has its own particular focus and responsibilities, such as cancer, mental health, aging or drug abuse. The NIH was preceded in its role by the Laboratory of Hygiene, which was created in 1887. It became the NIH in 1930. The WHO is responsible for coordinating on international issues of public health. Its mission is to attain the highest possible levels of health for everyone around the world. The main focus of the WHO is on combating diseases, particularly certain important infectious diseases, and on the promotion of general health around the world. 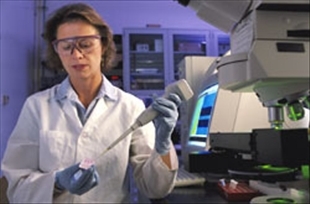 The NIH is the main US government agency with responsibility for health related research. The NIH is currently divided into two main parts. The Extramural sections are involved in funding research outside of the NIH. The Intramural sections are involved in conducting their own research. The responsibilities of the WHO and NIH share some similarities. Both agencies are dedicated to improving health for everyone, although the WHO has a worldwide focus, while the NIH, as a national agency, is focused mainly on the United States. However, the ways in which the two agencies work towards this goal of improved health are very different. The WHO is involved in the coordination of international efforts to cope with infectious diseases such as AIDS, malaria and tuberculosis. They also sponsor programs for the treatment and prevention of such diseases, and support efforts for the creation and distribution of vaccines and medications. The WHO was instrumental in the eradication of smallpox through a program of vaccination. The WHO is also involved in various health campaigns to encourage people to enjoy a healthier lifestyle, for example by improving their diet or giving up smoking. The WHO also supports national health agencies and promotes health related research. Meanwhile, the NIH is involved in the funding of biomedical research. In the year 2003, the NIH spent approximately $26.4 billion dollars on research. This was equivalent to about 28 percent of all spending on biomedical research in the United States. Most of the rest of the investment in such research comes from industry. As well as investing in extramural research, the NIH is also involved in conducting biomedical research. The mission of the NIH is to acquire knowledge that will help to improve health and health care for everyone. The World Health Organization and the National Institutes of Health are two agencies that play an important role in the promotion of health. However, they work in different ways, and while the NIH focuses on health care research in the United States, the WHO works globally and it is often involved in the coordination of international health care efforts. The WHO is involved in the coordination of international efforts to combat disease. The NIH is a national agency which funds and conducts biomedical research in the United States. Both agencies are involved in the promotion of health for everyone. Which one makes more U.S. public service announcements?